36 x 25 inches. 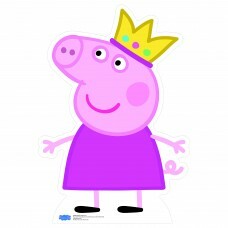 Our cardboard cutout of Princess Peppa Pig. All cardboard cutouts come folded and ha..